Food lovers and libation enthusiasts have much to look forward to in the oasis these upcoming months as the region transforms into a mecca of grub satisfaction and dining deliciousness. So, whether you’re in search of new, local fare or are simply looking for the best in regional festival food goodness, it’s all here in Greater Palm Springs this season! Eat and drink your way through the oasis by checking out our round-up of food, beer and wine festivals in Greater Palm Springs. Kick off the tempting foodie festival period by attending the Food Truck Mash-Up, which will be held in conjunction with this year’s Hot Air Balloon Festival in Downtown Cathedral City (Friday, November 16 through Sunday, November 18, 2018). The mouth-watering culinary mash-up will occur on Saturday, November 17 only from 11:00 a.m. to 9:00 p.m. and is definitely one that is not to be missed in the region. The Food Truck Mash-Up will bring together more than 20 of the best food trucks in Southern California, each providing their own exclusive menu and over-the-top kitchen varieties to sample and choose from. This event is open to the whole family and will also include games, giveaways, and music, as well as the opportunity to vote for your favorite specialty food truck in SoCal while there! Incredible views, cool brews, and unforgettable tastes await you at the Palm Springs Air Museum’s Seventh Annual Props & Hops Craft Beer Festival, happening from 12:00 p.m. to 5:00 p.m. on Saturday, November 17. The yearly event benefits the museum’s collections and programs and offers attendees the opportunity to enjoy an afternoon of local craft beer tastings, flight exhibits, pilot demonstrations, and exciting vintage aircraft rides. With over 25 craft breweries in attendance, there will be plenty for beer connoisseurs to choose from. Festival-goers may also fuel up on food truck options like In-N-Out Burger, Tost Pizza, The Cone Zone and many more as well. Now there’s something to raise your glass too! 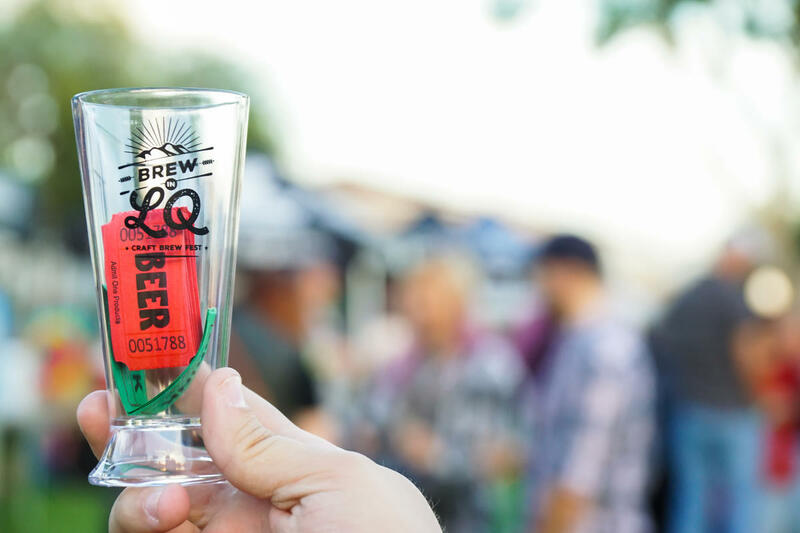 Spend your evening sipping the night away at Brew in LQ Craft Brew Fest, taking place Saturday, November 17 from 5:00 p.m. to 9:00 p.m. at the city’s Civic Center Campus. The festival will feature over 15 breweries from all over California, including the region’s very own award-winning La Quinta Brewing Co. While there, also sample a mixture of items from food trucks in attendance that include The Big Easy Sandwich, Da Big Show BBQ and La Alteña Mexican Grill. A special feature of Brew in LQ 2018 is the addition of Trentadue Winery to the vendor lineup, which is new to the event this year. In addition to this, Brew in LQ offers live music entertainment, local art from The Coachella Valley Art Scene and a number of fun lawn games. A portion of event proceeds will go to the La Quinta Rotary, so come out to support a great cause while you treat your taste buds to some of the best bites in and around the region. Get into the holiday spirit in the oasis as you satisfy your palate with homemade and artisan-created tamales during the first weekend of December at the Indio International Tamale Festival. Having been ranked top 10 in “All-American Food Festivals” in the nation, this two-day community event is a stand-out in Greater Palm Springs. 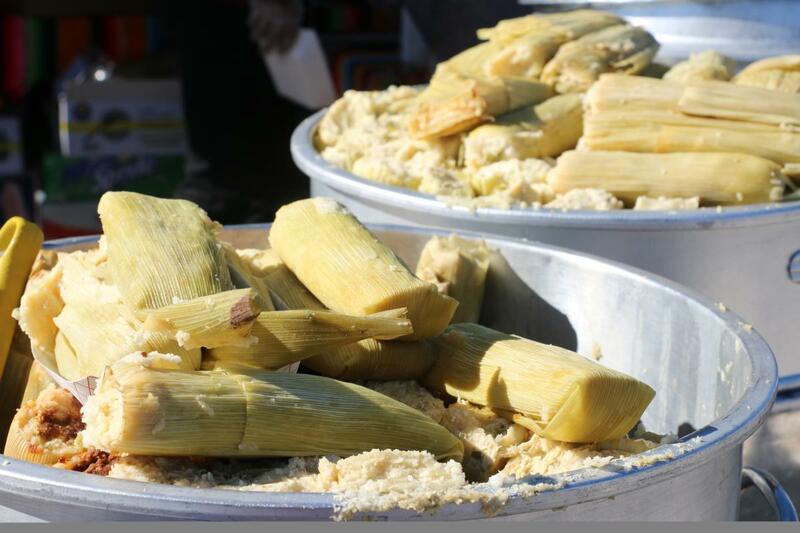 With over 70 tamale vendors participating in the festival, attendees will be able to indulge in infinite amounts of the beloved corn-based comfort food. Take your pick from an assortment of tamale booths selling traditional favorites that include pork, beef, chicken and cheese, or explore new flavors with shrimp-inspired tamales, sweet tamales, and vegan or vegetarian options. Also available for purchase are alternative food options and drinks, as well as beverages from event beer gardens. Admission to the Tamales Festival is free, with prices ranging for food. Tamale festivities are from at 10 a.m. to 6 p.m. on Saturday, and from 10 a.m. to 5 p.m. on Sunday. The Rancho Mirage Wine & Food Festival is the Coachella Valley’s premier wine-tasting event to attend this season. Hundreds of world-class wines from California and Washington State will be featured at the festival, along with a fantastic array of culinary eats from local restaurants. Set to take place on Saturday, February 2, 2019, from 1:00 p.m. to 5:00 p.m., the festival invites wine aficionados and connoisseurs to come out to Rancho Mirage Community Park to enjoy an afternoon of good foods, lively entertainment and glass pours from a total of 30 participating top-tier wineries. Admission for the event includes a crystal souvenir wine glass for unlimited tastings, as well as a variety of gourmet appetizers, tasty cheeses, artisan breads, and olive oils. Tickets for the festival are available for purchase on the event website, which also benefits local charities with a silent auction. Whet your whistle during the highly-anticipated 10th Annual Brew at the Zoo, happening on Saturday, February 9 this season! 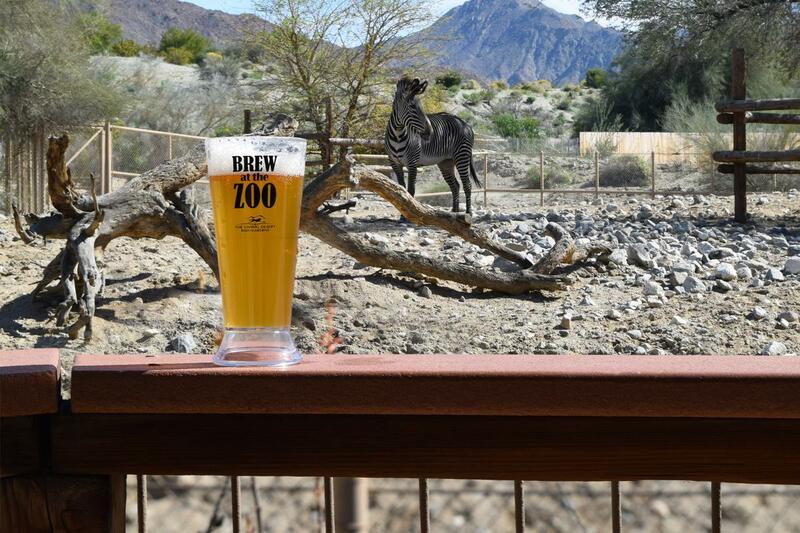 The event is put on by The Living Desert and gives attendees the chance to “Save Wildlife One Beer at a Time.” Those attending the event can expect to see exciting, new changes at Brew at the Zoo this year, all carefully crafted to ensure you and your guests have a wildly good time while visiting the popular desert attraction. Brew at the Zoo provides ticket holders with unlimited beer, wine and food samples from dozens of local breweries, wineries, and restaurants, as well as live musical entertainment throughout the zoo and gardens. While there, be sure to also stroll around the property to take part in animal encounters, activities and more. The fourth annual Taste of Jalisco brings a taste of Mexican culture to the heart of downtown Cathedral City. Celebrating the beloved city of Tequila in the state of Jalisco (Mexico), the festival brings together friends, families, and neighbors for a day of good ol’ tequila sipping and beer drinking. The event also offers those in attendance savory meals from local eateries, high-energy musical entertainment, a kid’s zone, outdoor market shopping, and a spectacular firework show. Enjoy all this plus the opportunity to gain insight into a beautiful and diverse culture in Mexico. Taste of Jalisco takes place within Downtown Cathedral City’s festival lawn from 11:00 a.m. to 9:00 p.m. and offers free admission to attendees. 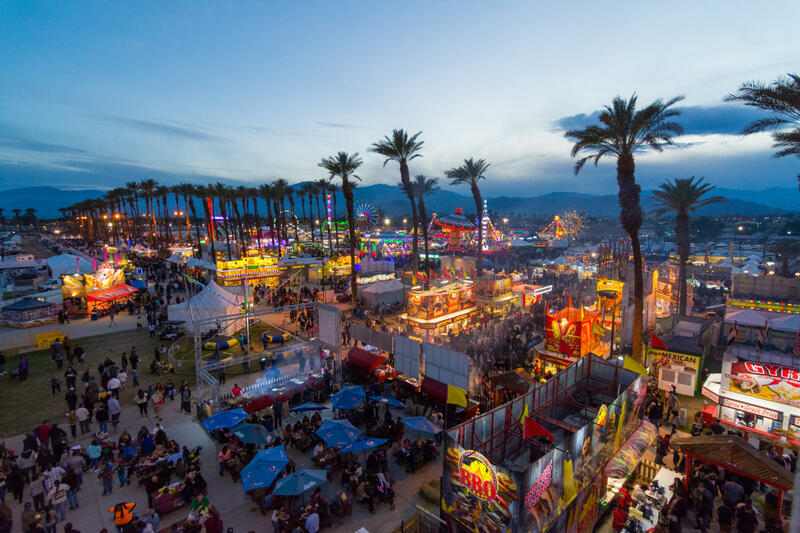 Feed your soul with carnival delights and get your fair food fix by attending the 73rd Annual Riverside County Fair & National Date Festival, taking place Friday, February 15 through Sunday, February 24, 2019. 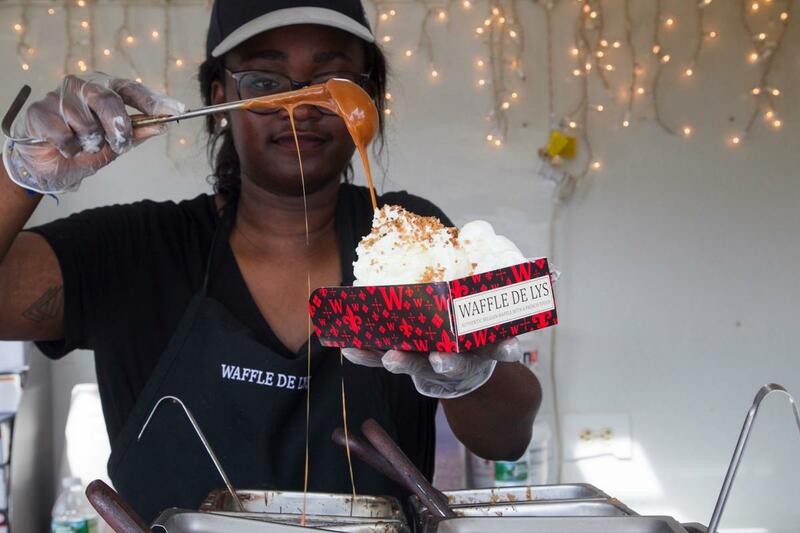 Make it a day of food booth fun as you grub on famous regional dates, deep-fried Oreos, funnel cakes, BBQ meats, burger meals and much, much more. The crowd-pleasing festival will also feature a nightly musical pageant, star-studded headliner entertainment, monster truck, and BMX shows, a petting zoo, camel and ostrich races, produce displays, arts and crafts and, of course, thrilling rides throughout the Riverside County Fairgrounds in Indio. Tickets for the fair are available both online and at the event gate. The twelfth annual Greater Palm Springs Food and Wine Festival offers attendees relaxation and a cornucopia of tasty food, wine, and spirits from some of the valley’s best restaurants. Guests also enjoy a variety of local talent while sampling everything from pizza to sushi, craft beers, specialty toffee, and even Nothing Bundt Cakes. There is no better way to welcome back tennis to the desert this season than by swinging by Citi Taste of Tennis Indians Wells! The pre-tournament event goes down on Monday, March 4 from 7:00 p.m. to 10:00 p.m., bringing together the tennis world and Greater Palm Springs’ renowned culinary style. 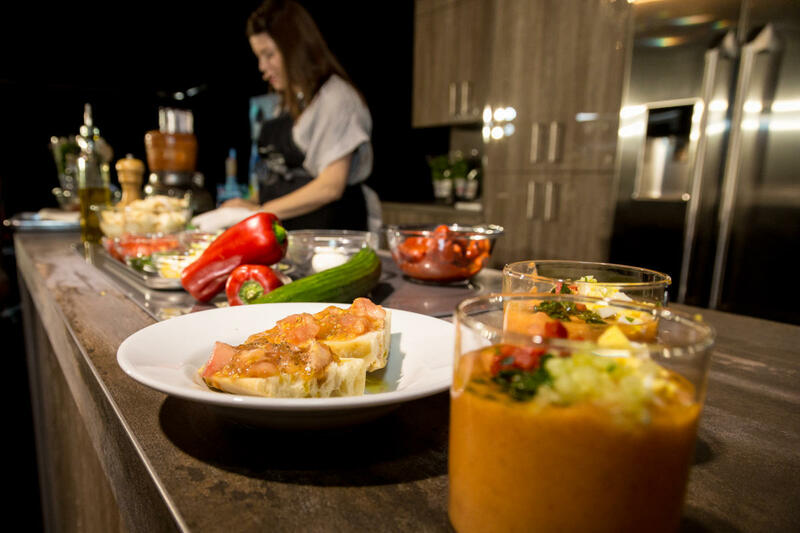 During Taste of Tennis, leading chefs in the region serve up amazing dishes alongside top tennis pros for a remarkable evening of signature cuisine and sporting comradery. While there, guests also have the opportunity to mix and mingle with the best tennis players in the world, right before seeing them in action during the 2019 BNP Paribas Open in Indian Wells. Tickets to attend the annual event will be available for purchase on the Taste of Tennis website. The finest in culinary, craft beers, spirits, and wines come together for the Ninth Annual Palm Desert Food & Wine Festival. The appetizing three-day affair at The Gardens on El Paseo is organized by Palm Springs Life Magazine and showcases several celebrity chef demonstrations, book signings, cooking gatherings, and countless delectable tastings. Known as a top food and drink playground for its impressive fare and liquor offerings, this year promises to bring some of the most diverse flavors yet to Greater Palm Springs! Start your feasting extravaganza on Friday, March 22 by attending the highly-acclaimed James Beard Gourmet Four-Course Luncheon–an attendee favorite by far. Then, dig in on Saturday and Sunday during Palm Desert Food & Wine Grand Tastings where you can chow down on incredible eats from local and regional restaurants, as well as experience a vast amount of premium wines, brews, and spirits. Be sure to stick around until the end for the exciting Sunday Grand Tasting. This year’s theme is “North to South: Food of the Americas,” which celebrates the distinctive taste and lifestyle of Southern California and beyond. Supporting local causes has never been so enticing, thanks to Dining Out for Life! Join the community in action and “Make One Meal Matter” as you dine out for breakfast, lunch, and dinner this upcoming Thursday, April 25, 2019, at numerous participating restaurant locations in Greater Palm Springs. This important fundraising event benefits client services at Desert AIDS Project and is responsible for giving back 33 percent or more of local restaurant’s food, beverage and liquor gross sales to the cause. Be part of this yearly movement and donate your appetite to help those in need this season. End the delicious festivities on a tasty high note with Greater Palm Springs Restaurant Week! Although official dates for this fabulous cuisine-focused event have not yet been set, Restaurant Week is sure to give diners plenty of opportunities to discover new area hotspots during its multiple week program run. More than 100 local Greater Palm Springs restaurants will participate in the event this summer and serve a variety of specially-prepared prix fixe menus to hungry diners. So, if you’re looking to try out some unique-to-the-region dishes or get a taste of new bites in town, this flavorful culinary experience is for you. Enjoy both discounted two-course lunch menus and three-course dinner menus from select locations throughout the region and get your grub on! For more fun and excitement in the oasis, be sure to check out Signature Events in Greater Palm Springs.